Metaphorically speaking, Jo Henschel, 22, is a long way from the career path she might have followed with a university degree in English studies. 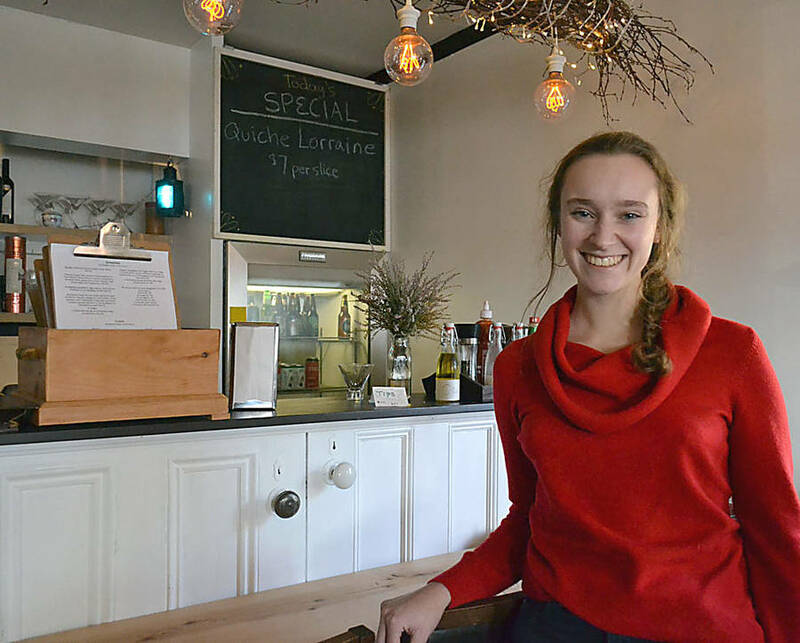 But the University of King's College graduate, who is now an entrepreneur, is happy to run the bistro side of her family's business, Rose Bay General Store & Bistro. "Not super related to food business," she admitted about her degree to LighthouseNOW in an interview at the bistro. "But I had always worked at cafés, and I love it here. So I wanted to stay and contribute," she said, adding that she had learned how to serve customers and prepare food, and she always loved cooking. "I decided to expand the food business because we knew from past summers that there was a demand for it. People were asking for more things." Nonetheless, Jo sees a certain logical and poetic symmetry between her English studies and how she chose to earn her living. And both she and her mother, Anja Henschel, who run the general store, regard the local community as the leading characters in the story of their Rose Bay business. From the start of her final year at university, Jo had a running Google document, with a stream of thoughts that had occurred to her about things she could or should do in the bistro. Three weeks before graduation, she started to "actually make concrete plans for things and started hiring people." And although she's not in work that directly relates to her English degree, Jo says her university education has been invaluable. "I think any degree in general, any university experience ...teaches you when to buckle down and work hard. How to manage your time, organize your life and organize your business." The English degree in particular has helped with her communication and marketing skills - "how to word things, how to pull people in," she says. "And this might be a bit of a stretch, but I think English almost creates an interest in people too, because that's all what you read about in novels." It has, she adds, given her "a basic level of interest and empathy in all people of all strokes." 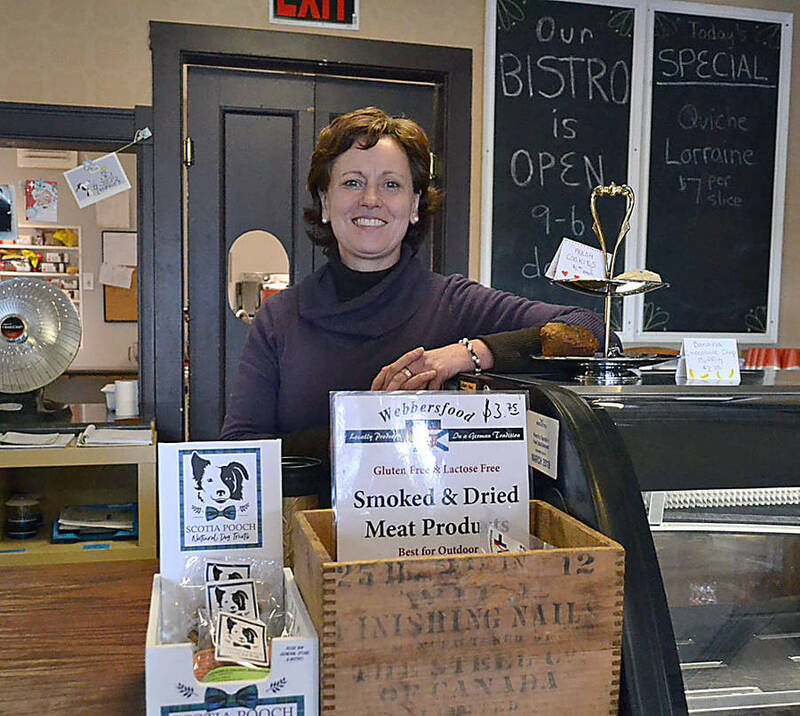 Anja and her husband Christoph Henschel immigrated to Nova Scotia from Germany in 2007 and bought the Rose Bay general store from the late Mary and Roy Landis three years later. Previous to settling in Canada, Anja and Christoph had been in tourism and marketing. Anja admits she was skeptical when Christoph suggested they buy the aging Rose Bay general store and food take-away business on Highway 332. But the appeal of the idea grew. "We thought this is the centre of that community, and it would be a shame that people don't have anything to go to." So they bought the property and and implement a number of renovations, including installing a new kitchen and replacing the metal shelving with wooden cabinets Christoph made himself. "And tried to make it a little more warmer, welcoming," says Anja. 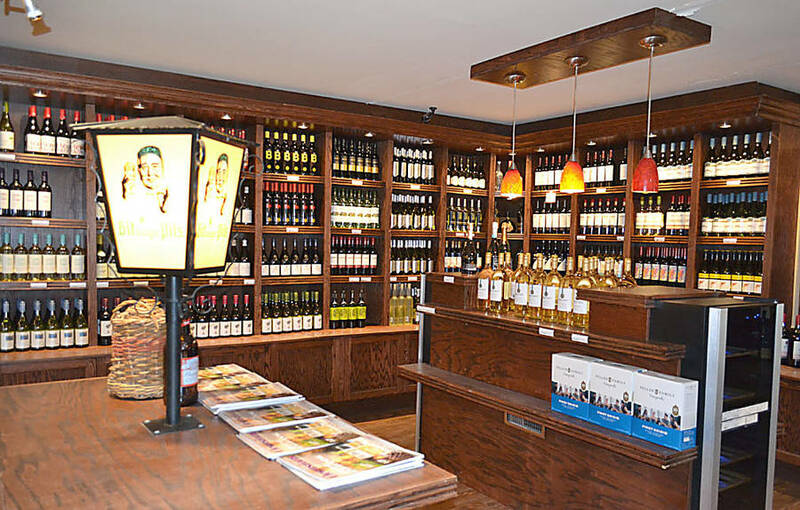 Drawing upon their European background, and being open to requests from customers, they supplemented their stocks with a variety of specialty foods as well as expanded the selection of alcohol they sell as a Nova Scotia Liquor Commission licenced facility. In addition to full-time residents in the area, their market consists of a lot of seasonal residents living in Kingsburg and Feltzen South, as well as tourists passing through. They also listened to customers who wanted to see changes to the prepared foods, according to Jo. Rather than deep-fried fast food and an ad hoc supply of baked goods, the customers were looking for healthier options and consistent availability of baked goods. "To be able to come any day and be able to sit down for a lunch or take something with them," says Jo. She took on the task to develop the bistro last May. The business now offers a large assortment of sandwiches, side orders of soup and salads, and, in the summer, home-made thin-crust pizzas. The latter they have discontinued during the winter, "just because it does slow down quite a bit," says Jo. There are rotating specials, such as quiche, stews, and special themed dinners on occasion. Jo suggests there is "a lot of creative work in putting together menus, figuring out what you can do, what you can't do. What works in your space." To that end, the community that makes up their customers has been a big support. "As someone with no business background, it was a very comforting feeling to know that you had community support, where you'd be able to try things. And people would show up for you. And understand if it didn't work perfectly right away. That's pretty special," she says. 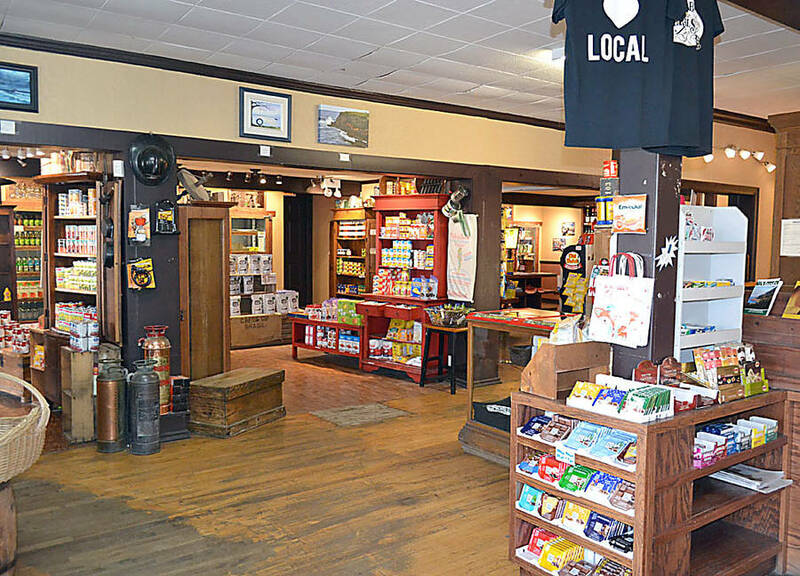 Anja says it's "really nice to see" tremendous community support for the general store as well. "When you feel that support from a community it encourages you to just do more. " 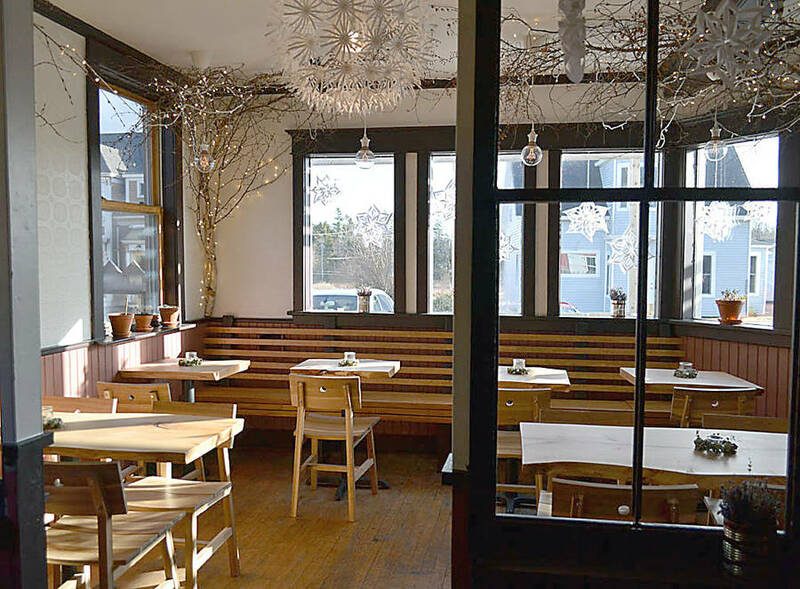 However, the bistro has not been without its challenges. "Finding staff around here is hard; there's just not that many people," says Jo. But it was more than that for the young entrepreneur. "I'm 22, with no formal business experience. You want to hire someone that you know you'll be able to manage, so preferably someone younger. But someone who's still able to work independently, be good at decision making," she explained. However, they consider themselves lucky in that they were able to hire one of Jo's friends. "I knew she was a safe bet." Jo's mother is pleased her daughter is on board with the business, and emphasizes "no one asked her to do that." She says it gives credence to her and her husband's decision to take on the business years ago, when Jo was 10 and her brother seven. "For us [it's] pretty amazing to see, because, you know, we never knew if we made the right decision for our children." And although she says "the money making part is not that high," the business is supporting the whole family. And there are other rewards too. 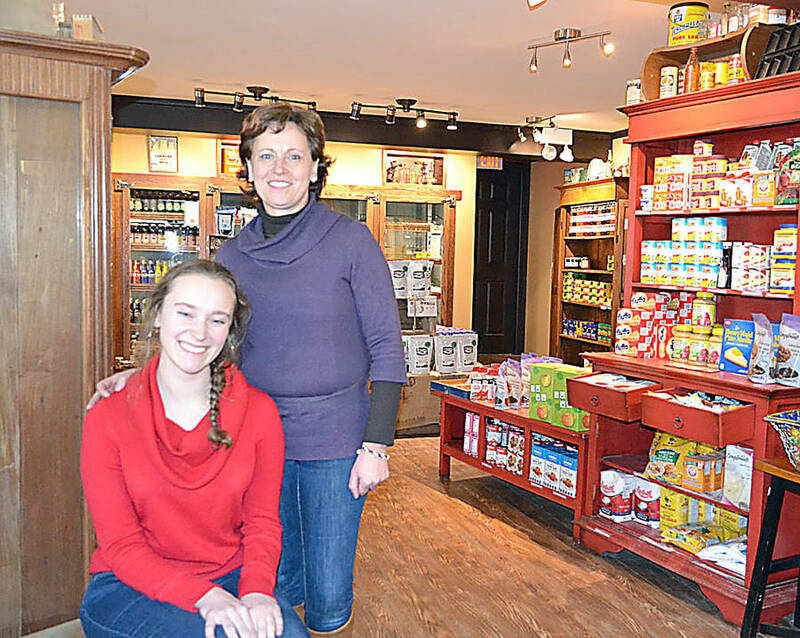 "It's good for our community, and I feel really good about it," says Anja. "I mean it's pretty incredible that so many businesses, even in Lunenburg and Mahone Bay, have to close down in the winter, and we don't. And we're out here," she says.